Atarax Tablets (Hydroxyzine Hydrochloride 10 mg and 25 mg) is used for the short term symptomatic relief of anxiety and tension associated with psychoneurosis and as a supplement along with other medications in organic disease states in which anxiety is manifested. This medicine is also used for the treatment of pruritus due to allergic conditions such as chronic urticaria and atopic and contact dermatoses, and in histamine-mediated pruritus. It could also be used as a sedative when used as a premedication and following general anesthesia in certain cases. Atarax tablets are manufactured by UCB India Pvt. Ltd. in the strengths of 10 mg and 25 mg. You can buy Atarax tablets at only $0.20 a pill from Clear Sky Pharmacy. We also have in stock Generic Dexamethasone oral tablets (Dexona) which acts as an anti-inflammatory and immunosuppressive agent. We supply original Atarax tablets manufactured by UCB India Pvt. Ltd..
UCB India Pvt. Ltd. (Division of UCB Belgium). The active ingredient present in Atarax tablets is Hydroxyzine Hydrochloride. Each Atarax tablet for oral administration contains 10 mg or 25 mg of Hydroxyzine Hydrochloride. Atarax (Hydroxyzine Hydrochloride Tablets) is used to assist in the management of anxiety in adults. This medicine is used mainly for the symptomatic relief of anxiety and tension associated with psychoneurosis and as an adjunct in organic disease states in which anxiety is manifested. This medicine is useful in treatment of severe cases of itching, hyperalgesia, and motion sickness-induced nausea, as well as the management of pruritus due to allergic conditions such as chronic urticaria and atopic and contact dermatoses. It has also been used in some cases to relieve the effects of opioid withdrawal. Atarax is also indicated for premedication, such as preparation for dental procedures. Hydroxyzine tablets are useful in the control of nausea and vomiting, excluding nausea and vomiting of pregnancy. For symptomatic relief of anxiety and tension associated with psychoneurosis and as an adjunct in organic disease states in which anxiety is manifested: Adults, 50 mg to 100 mg in divided doses, (4 times a day), ; children under 6 years, 50 mg daily in divided doses; children over 6 years, 50 mg to 100 mg daily in divided doses. For use in the management of pruritus due to allergic conditions such as chronic urticaria and atopic and contact dermatoses and in histamine-mediated pruritus: Adults, 25 mg three times a day or 4 times a day; children under 6 years, 50 mg daily in divided doses; children over 6 years, 50 mg to 100 mg daily in divided doses. As a sedative when used as a premedication and following general anesthesia: 50 mg to 100 mg in adults and 0.6 mg/kg of body weight in children. 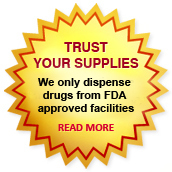 Store Atarax tablets at controlled room temperature (68°F to 77°F, 20°C to 25°C). Protect from light. Keep away from children. Atarax tablets are contraindicated in patients with a hypersensitivity to Hydroxyzine Hydrochloride, Cetirizine Hydrochloride or Levocetirizine Hydrochloride or any inactive ingredient present in tablets. Hydroxyzine Hydrochloride tablets are contraindicated in patients with a prolonged QT interval, porphyria, asthmatics who have previously experienced a serious anti-histamine-induced adverse bronchopulmonary effect and during pregnancy or nursing. Cases of QT prolongation and Torsade de Pointes (TdP) have been reported during post-marketing use of Hydroxyzine tablets. The majority of reports occurred in patients with other risk factors for QT prolongation/TdP (pre-existing heart disease, electrolyte imbalances or concomitant arrhythmogenic drug use). Hence, Atarax must be used with caution in patients with risk factors for QT prolongation, congenital long QT syndrome, a family history of long QT syndrome, other conditions that predispose to QT prolongation and ventricular arrhythmia, as well as recent myocardial infarction, uncompensated heart failure, and bradyarrhythmias. A determination has not been made whether controlled clinical studies of Atarax (Hydroxyzine Hydrochloride Tablets) included sufficient numbers of subjects aged 65 and over to define a difference in response from younger subjects. Other reported clinical experience has not identified differences in responses between the elderly and younger patients. In general, dose selection for an elderly patient should be cautious, usually starting at the low end of the dosing range, reflecting the greater frequency of decreased hepatic, renal or cardiac function and of concomitant disease or other drug therapy. Hydroxyzine tablets may rarely cause acute generalized exanthematous pustulosis (AGEP), a serious skin reaction characterized by fever and numerous small, superficial, non-follicular, sterile pustules, arising within large areas of edematous erythema. Patients should be informed about the signs of AGEP, and this medicine has to be discontinued at the first signs of a skin rash, worsening of pre-existing skin reactions which Hydroxyzine may be used to treat, or any other sign of hypersensitivity. Drowsiness is usually transitory and may disappear in a few days of continued therapy or upon reduction of the dose. Involuntary motor activity including rare instances of tremor and convulsions have been reported, usually with doses substantially greater than those recommended. Since drowsiness may occur with use of this medicine, patients must be warned of this possibility and cautioned against driving a car or operating dangerous machinery while taking Hydroxyzine Hydrochloride tablets. Patients must be advised against the simultaneous use of other CNS depressant medications, and cautioned that the effect of alcohol could be increased. Get emergency medical help if you have signs of an allergic reaction: hives; difficult breathing; swelling of your face, lips, tongue, or throat. In rare cases, Hydroxyzine may cause a severe skin reaction. Skin and Appendages: Oral Hydroxyzine Hydrochloride is associated with Acute Generalized Exanthematous Pustulosis (AGEP) and fixed drug eruptions in post-marketing reports. The most common symptom of Atarax overdosage is hypersedation. As in the management of overdosage with any medicine, it should be kept in mind that multiple substances may have been taken. In case vomiting has not occurred spontaneously, it should be induced. Immediate gastric lavage is also recommended. General supportive care, including frequent monitoring of the vital signs and close observation of the patient, is indicated. Hypotension, though unlikely, may be controlled with intravenous fluids and Levophed® (levarterenol), or Aramine® (metaraminol). Do not use epinephrine as Atarax counteracts its pressor action. Hydroxyzine Hydrochloride has been classified by the US FDA as Pregnancy Category C. Do not use Atarax without your doctor's consent in case you are pregnant. Stop using this medication and inform your doctor immediately if you become pregnant during treatment. It is not known whether Hydroxyzine Hydrochloride is excreted in human milk. Since many medicines are so excreted, Hydroxyzine should not be given to nursing mothers. Do not use Atarax without telling your doctor if you are breast-feeding a baby. You can buy Hydroxyzine Hydrochloride tablets online from Clear Sky Pharmacy at a cheap price. Atarax 10 mg and 25 mg pills, manufactured by UCB India Private Limited, are supplied in a blister strip of 15 tablets. The 10 mg tablets cost only $0.20 per unit when you place an order for 300 tablets.